The terms Realtor® and Realtors® are registered trademarks. They’re collective membership marks that identify a licensed real estate professional who is an active member of the National Association of Realtors (called NAR for short) and subscribes to its Code of Ethics. Realtors work as residential and commercial real estate brokers, salespeople, property managers, appraisers, counselors and other real estate professionals. Realtors are not limited to the United States. Today, Realtors help people buy and sell real estate all over the world. Where Did the Term “Realtor” Come From? In 1916, Charles N. Chadbourn, a real estate agent in Minneapolis and vice president of the National Association of Real Estate Boards (later shortened to National Association of Realtors, or NAR for short), proposed the use of the term “Realtor” to give members a way to distinguish themselves from non-members. The association then obtained a copyright and trademark on it in 1949 and 1950, but adopted its current name in 1974. NAR was originally called National Association of Real Estate Exchanges when it was founded in 1908, more than a century ago. It later changed its name in 1916 to The National Association of Real Estate Boards. It only used the term “Realtor” about 40 years ago. Is a Realtor the Same as a Real Estate Agent? No. “Realtor” and “real estate agent” are not interchangeable. Although most real estate agents are Realtors and both are licensed to sell real estate, not every real estate agent is a Realtor. An agent cannot use the trademarked name Realtor unless they are members of the National Association of Realtors. Therefore, not every real estate agent can legally use the Realtor title. Those who may not be familiar with the differences between the two designations often use the term “Realtor” as a shorthand to refer to anyone who is in the business of helping people buy and sell real estate. However, this usage is incorrect, as they are not one and the same thing. How Can Real Estate Agents and Brokers Become Realtors? After receiving a real estate license, most agents go on to join their local association of Realtors, the state association of Realtors, and the National Association of Realtors. They can then call themselves Realtors as long as they pay monthly dues and follow the code of ethics. While many major brokerages encourage and even require agents to become Realtors, they aren’t legally required to become Realtors in order to deal in real estate. Who Can Become a Realtor? Not only real estate agents and real estate brokers can become Realtors. Property managers, real estate appraisers, real estate counselors, and other real estate professionals can also join NAR and become Realtors. Anyone interested in joining NAR must first get a real estate license or appraisal license before joining one of NAR’s 1,400-plus local real estate associations. Applicants pay a one-time application fee and then prorated membership dues after the Board of Directors approves membership. Annual NAR membership dues are currently $120 per member. Brokers are also assessed NAR dues times the number of non-member salespersons, if any, in their office. What Is NAR and What Are the Benefits of Membership? 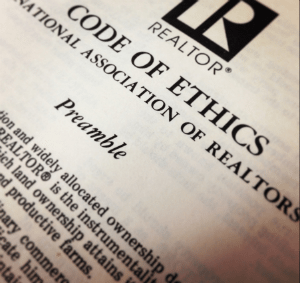 What Is the Realtor Code of Ethics All About? In the 1900s, real estate agents were considered peddlers, and their reputation was somewhat suspect. We have come a long way since then. The Realtor code was founded on the principles of the Golden Rule and covers ethical requirements that deal with all aspects of the job, from working with consumers and fellow agents to writing truthful advertising. The association publishes an updated version of the code every January in Realtor Magazine. The Code of Ethics is strictly enforced by local real estate boards. There are 17 Articles in the Code of Ethics, 71 supporting Standards of Practice, and 131 explanatory case interpretations. 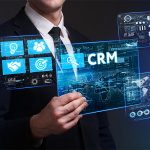 Realtors are expected to cooperate with one another to serve their consumers and clients. They must respect others’ exclusive relationships with clients and keep disputes between members “in the family” by requiring Realtors to arbitrate or mediate conflicts. One article stands above the rest. Basically, the Realtor must pledge to put the interests of her clients above her own. It is the basis for the way a Realtor operates. A Realtor must be honest. They “shall avoid exaggeration, misrepresentation, or concealment of pertinent facts relating to the property or the transaction;” “shall be honest and truthful in their real estate communications and shall present a true picture in their advertising, marketing and other representations;” and shall “pledge themselves to protect and promote the interests of their client” while treating all parties to the transaction honestly. You can view the latest version of NAR’s Code of Ethics and Standards of Practice here. How Are NAR Standards Different From the Standards Required of Real Estate Agents? If you ask a Realtor what sets that individual apart from a regular real estate agent, that agent will point to being held to a higher standard. 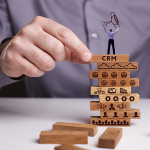 The NAR Standards are much more restrictive and confining to conduct than those state guidelines governing agents who simply hold a real estate license. While Realtors are not necessarily better morally or ethically than real estate agents, they have agreed to follow a set of ethical guidelines aimed at ensuring the integrity of the agent and protecting clients. Learn more about the Realtor Code of Ethics at nar.realtor. The NAR’s code addresses a Realtor’s fiduciary duties to clients and customers, the public and fellow Realtors, and some expectations include the accurate portrayal of market value to a client and refraining from lying about fellow real estate professionals. Violation of the code or standards could lead to the individual’s removal from the association. On the other hand, a real estate agent can only lose his or her license to deal in real estate when convicted of a crime that prompts action from the state. NAR requires that members hold a valid real estate license, be actively engaged in the real estate business, have no record of official sanctions involving unprofessional conduct, and have no recent or pending bankruptcy. If a principal decides not to join the association, none of the individuals associated with that firm can become members. Each firm appoints one principal to serve as the “designated Realtor” for the firm, who is usually also the broker of record. Once a principal joins, then any agents, associate brokers, or appraisers that are licensed or affiliated with that principal may choose to join the association. If those individuals choose not to become Realtors, NAR charges the “designated Realtor” a non-member assessment for each non-member. What Are the Educational Requirements for Realtors? All licensed agents are required to take continuing education courses approved by their state licensing boards. To retain membership in the NAR, Realtors are required to take additional continuing education classes, often focusing on ethical work habits and other consumer protection topics. Realtors are required to complete an Ethics Course every four years. Why Should I Hire a Realtor Instead of Just a Real Estate Agent? While you don’t have to hire a Realtor, when you do, there’s a greater chance that you will be treated honestly and fairly, as they are ethically and legally bound to follow their code of ethics. Secondly, NAR rules say that all Realtors must share listings with other NAR members. That means a Realtor can show you any home on the market. This might not be true with someone who is not a Realtor as he or she doesn’t have that agreement. A Realtor is a proprietary term that can only refer to real estate professionals who belong to the National Association of Realtors. “Realtor” and “real estate agent” are not interchangeable. Realtors are expected to follow NAR’s Code of Ethics, which benefits their clients. Being a Realtor also has several advantages. That’s why most real estate agents have chosen to join NAR and become Realtors.